A purpose built privately run child day care centre was recently designed and built by Australand to nestle within the existing landscape campus of their Rhodes Corporate Park. Landscape treatment includes dedicated play environments for separate age groups, shade structures, communal assembly area, active play areas. 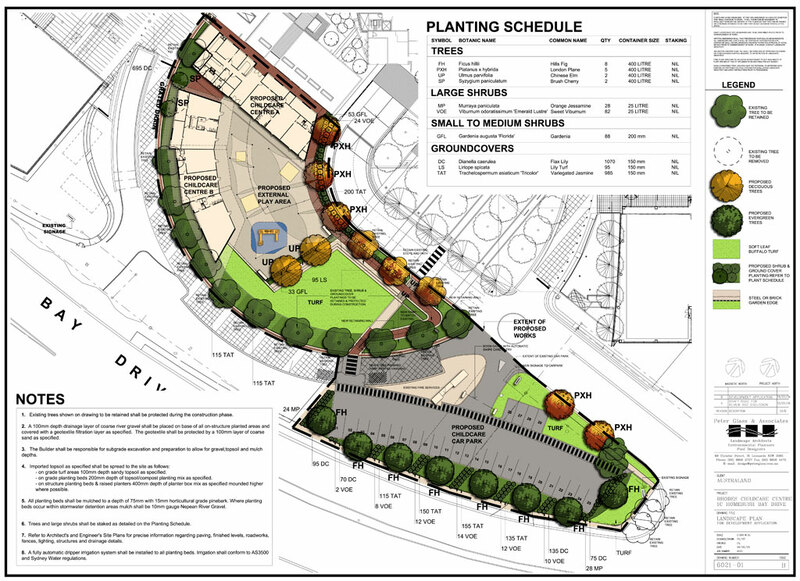 A considerable challenge was to integrate the new plantings around the new centre within the established office park landscape campus.